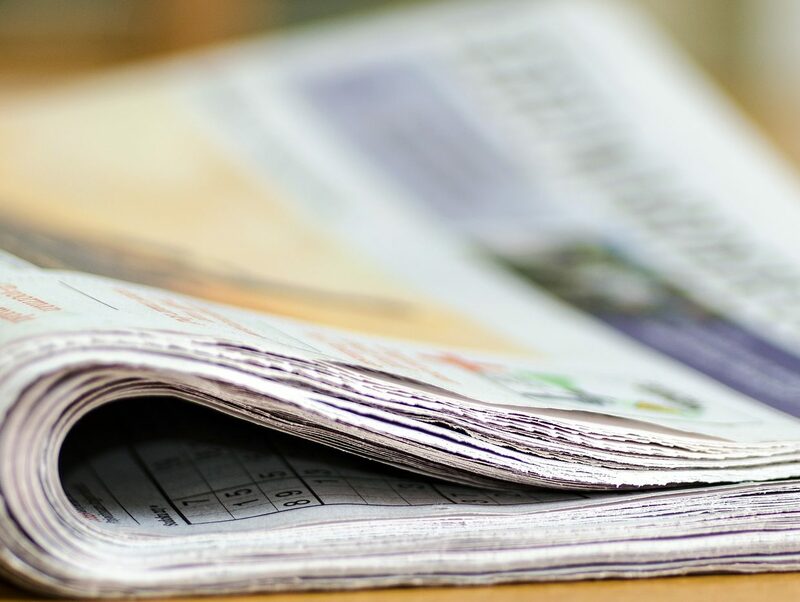 A London Assembly report on the provision of local news in the capital has warned of a “democratic deficit” if coverage continues to be scaled back through paper closures and staff cuts. 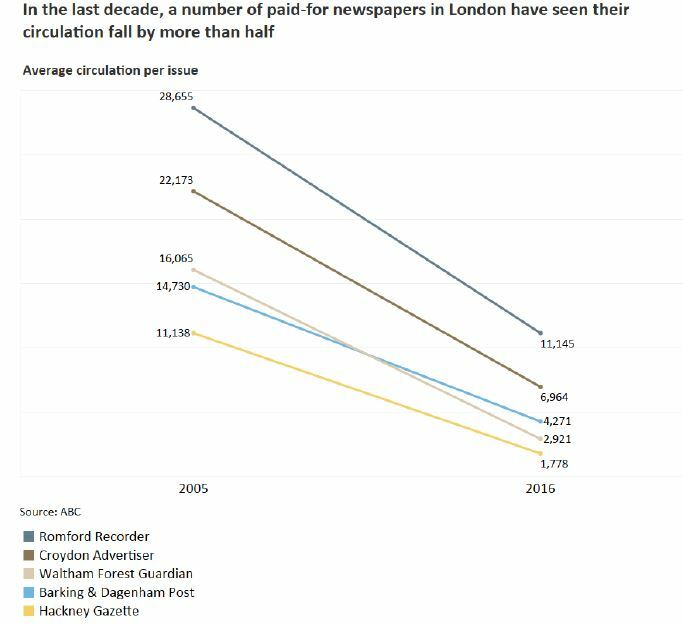 The Economy Committee report, published today and titled: “The fate of local news – read all about it”, shows that circulation figures for five of London’s paid-for local papers fell by more than half from 2005 to 2016. Three of these titles are owned by regional publisher Archant – Romford Recorder, Barking & Dagenham Post, and Hackney Gazette – which also saw the only year-on-year growth in paid-for local paper circulation last year at the Ilford and Romford Recorder titles, according to the report. Linda Quinn, editor-in-chief of independent newspaper the Brixton Bugle, told the committee there was “the real potential for a democratic deficit as a result of a lack of local community reporting”. She said if people “do not know what is happening in their name, it is very difficult to form a judgment to hold the council to account”. The report also said that as circulations dwindle and newsrooms shift focus to online there is “evidence of less ‘on-the-ground’ news reporting or investigative journalism” as a result. The report said that the fall in advertising income had “hit the revenues of local newspapers the hardest”. “Before the growth of the internet, local newspapers relied on classified advertising for a large proportion of their income. Rupert Murdoch once described classified advertising revenue as “rivers of gold”. Figures quoted in the report from the Advertising Association and marketing intelligence service WARC show that spending on regional newspaper advertising fell by 17 per cent between 2014 and 2016. The City Hall report is published after a string of local newspaper closures in London in recent months, prompting the National Union of Journalists (NUJ) to warn of a “real crisis” in the city’s news coverage. Tindle Newspapers closed three north London local titles in July while a buyer for four titles previously owned by Capital Media Newspapers is still being sought. Last week, Trinity Mirror said it was reviewing the future of The Wharf paper, covering Canary Wharf and the Docklands. 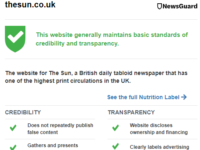 The report said: “London needs a strong and credible local press. Without addressing the challenges the industry is facing, and finding solutions, we are at risk of losing one of our most important democratic functions. “Action needs to be taken now to change the path for local newspapers. The decline of the industry and its impact on the workforce is leading to a less-credible news source. Recommendations made in the report include offering local newspapers on select London bus routes “to ensure that groups who are digitally and news-excluded have access to local news”. The committee also calls on the London Mayor to ensure that London-based news outlets pay all staff “at least the London Living Wage”, as well as establish a digital journalism apprenticeship and work to fund bursaries for journalists to “tackle the lack of diversity in local news”. Fiona Twycross AM, author of the report, said: “Having an active local news force is essential to ensure we are able to hold to account Government, local councils and other organisations that have huge responsibilities to Londoners. “We’ve seen a flurry of job losses and local news publications go under recently and this is a worrying trend. Local news must be protected. As local news publications look to the future, it is essential that we don’t leave those who are digitally excluded behind. The National Union of Journalists welcomed the report, with acting general secretary Seamus Dooley saying “its warnings must be headed”. 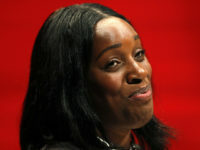 He said: “The NUJ would be happy to explore all proposals with the mayor. We believe there is already a democratic deficit – and not just in London. “Many media organisations have imposed severe cuts in editorial budgets; they no longer cover local authorities and investigative journalism is perceived as an expensive luxury rather than a necessity. “London needs journalists who earn enough to afford to live in the capital and who represent the great diversity of this city. 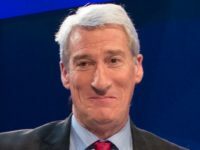 The Government’s Local News Partnership, an agreement between the BBC and the News Media Association, will fund 150 local democracy reporters in a bid to help plug the so-called “democratic deficit”. I wish people could “get their local news digitally now” as Jess writes. Most of the online local stuff I see is just lifestyle – pub events, leisure centre courses, shows – and it’s usually just puff. It’s hard to find detailed coverage about the council, the NHS, etc., either online or in print. I also don’t see a ‘”free market”, especially in print. Large groups make launching a print title against them an unreasonably high-risk prospect. So it might be presumed that the days of reporting planning application discussions or many local court cases are over – the relative lack of interest in such doesn’t justify the cost involved in producing this news. But I think the state may well soon be able to support more of this reporting about itself. We need the next step in tech. A system that would digest, in seconds, council agendas, NHS reports and more as well access sound recordings that should be made of every court case, council meeting, inquest, etc. This system would also be able to identify news in these sources and robot-write stories. State bodies (and everyone else) should support any such recordings and data-mining and so make it as cheap as chips to better report on their work. Without such bigger thinking – and without input from the state into such projects and which it could lead – I fear the future of local journalism may just be websites and apps that might be mistaken for spam. Essentially looking for a public taxpayer funded bailout because the product they are offering is no longer wanted by the public. People can get their local news digitally now. There should be absolutely no government interference in the free market, neither directly or indirectly in the form of “partnerships” (aka subsidised wealth transfers from taxpayer funded sources like the BBC), Mayor interference, or anything else. The most laughable aspect of this is that coverage of “local authorities” would somehow be unbiased. “Local authorities” are ultimately just a branch of the government. If they are funding you, that will impact your ability to criticize them. Get it? How are you supposed to criticize and hold to account the very people who are funding your operation? They can hold over your head the threat of withdrawal of funds. Print local news, just like print national news is dying for a reason – we don’t need it anymore. There are superior alternatives. Digital is faster, cheaper and actually gives the public more of a direct say because we have things like comment sections and immediate pushback against fake news.